Ellen’s Silkscreening is a medium sized apparel printing and embroidery company based in South Pasadena, California. We regularly handle printed and embroidered orders of between 24 and 5,000 units in-house on a 7-10 working day turnaround. Our knowledgeable sales team also sources out printed promotional product orders to a large network of vendors on a daily basis. Ellen’s Silkscreening recently had the opportunity to work for a new company based in New Jersey! 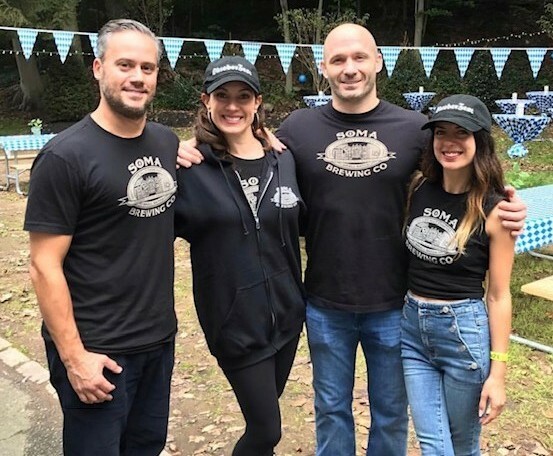 The SOMA Brewing Co. started as an idea between four friends who wanted to create a local business that would become a part of their community. Monrovia is serving up some culture and food this weekend! Ellen’s at the Rose Parade! Get Your Holiday Orders in Early! We’re hoping to hear from you!